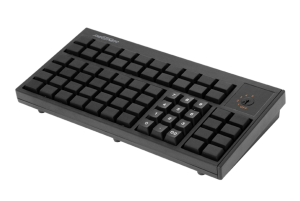 There is a lot to consider when you are programming a keyboard so sales can be accurately and quickly finalized. The scheme you develop will include which key are best suited for particular functions and even the ergonomics of where the most-used keys should be located. The KB-68 allows users to use menu-controlled software to make the step-by-step process of programming the keyboard straightforward and lets you store programming schemes and transfer them to other keyboards. 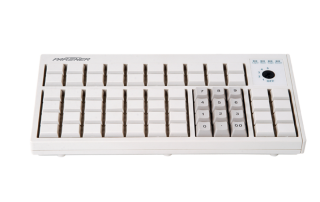 The KB-68 can be equipped with optional one-, two-, or three-track MSR, smart card reader, RFID, or biometric fingerprint scanners to give your business the functionality it needs at the point of sale. In busy retail or restaurant environments, accidents happen. 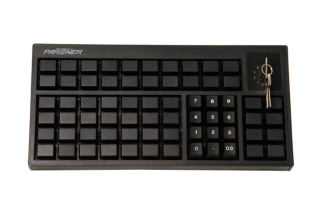 Partner Tech designed the KB-68 with a spill resistant membrane key switch to protect it from damage from liquids. 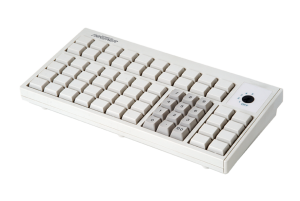 The KB-68 also gives you the option of a six-position key lock to limit access to your POS system or to deny access to certain functions depending on job function. 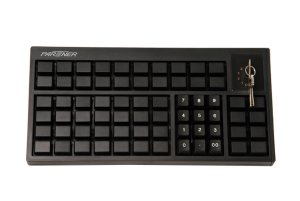 You can connect your KB-68 with a PS2 interface, or you can choose the option of a USB connection. The versatile KB-68 supports OPOS, Java POS, Linux, Setup utility, iButton setup, and fingerprint reader setup. 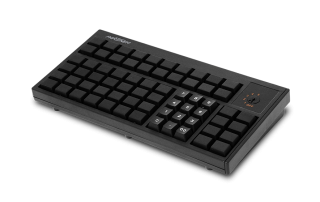 The KB-68 is a space-saving size — just under 13 inches wide (about 14 inches with MSR). 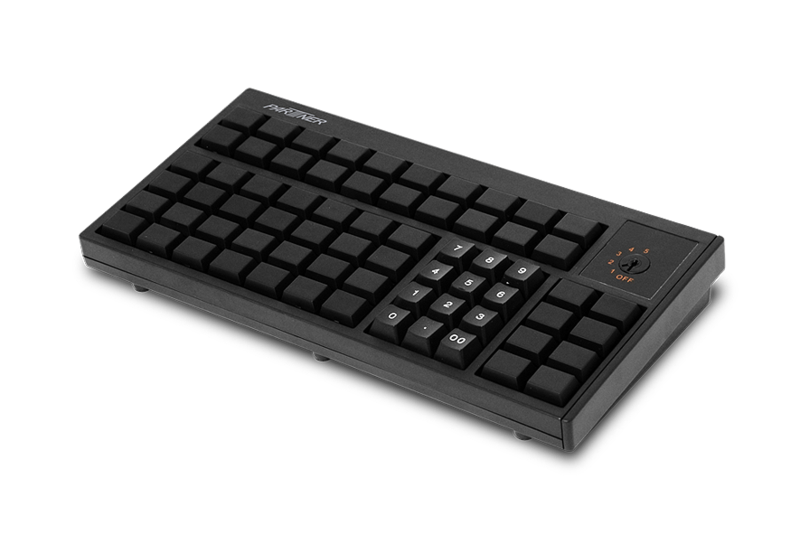 Choose from black or light grey to complement other technology hardware.